My Geraniums from the December 1948 issue are coming along. 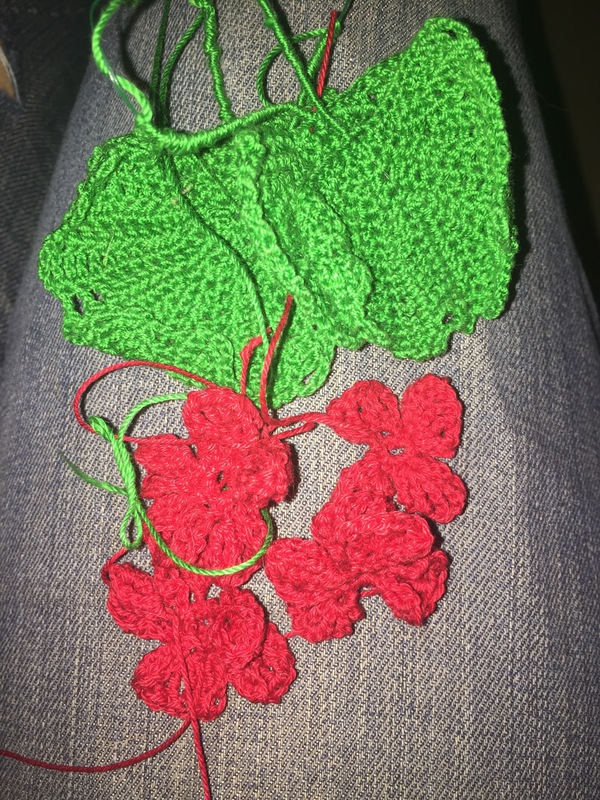 I have four leaves done and four of the sixteen flowers. I’m using size 10 crochet cotton, though I do hope to one day try a size 5, and a very thin florist wire. I may have to switch to a stronger wire for the stems. We shall see. I strongly suspect my “Men’s Scarf” will not be done in time for Christmas. If I was working on it steady it would, but I’m trying to do it in secret only while my son plays outside, and this early nights, and recent extreme cold, and really narrowing down my work time. I’ll be buying thread for the potholder in this issue soon. Before you know it it’ll be time for a new issue! Can you believe it?